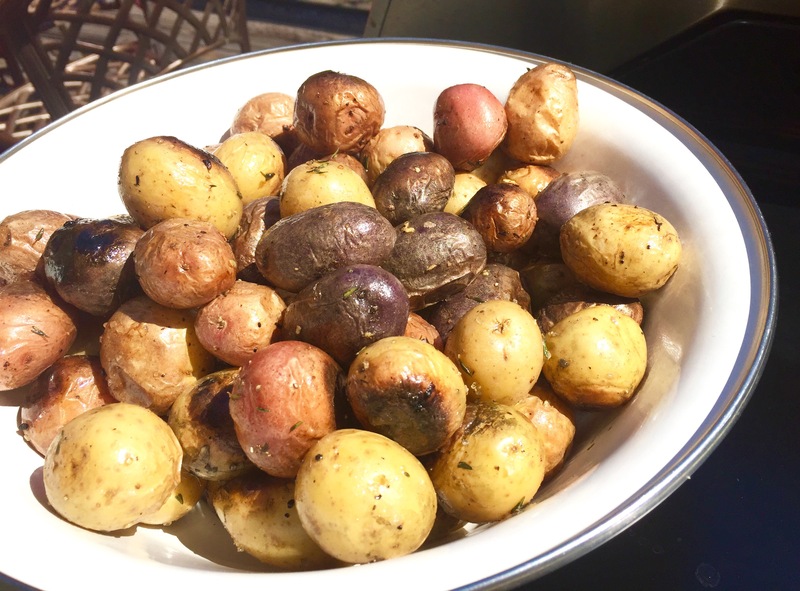 What could be more appropriate for a 4th of July party than red, white and blue potatoes on the grill. Oh, did I mention delicious and easy. 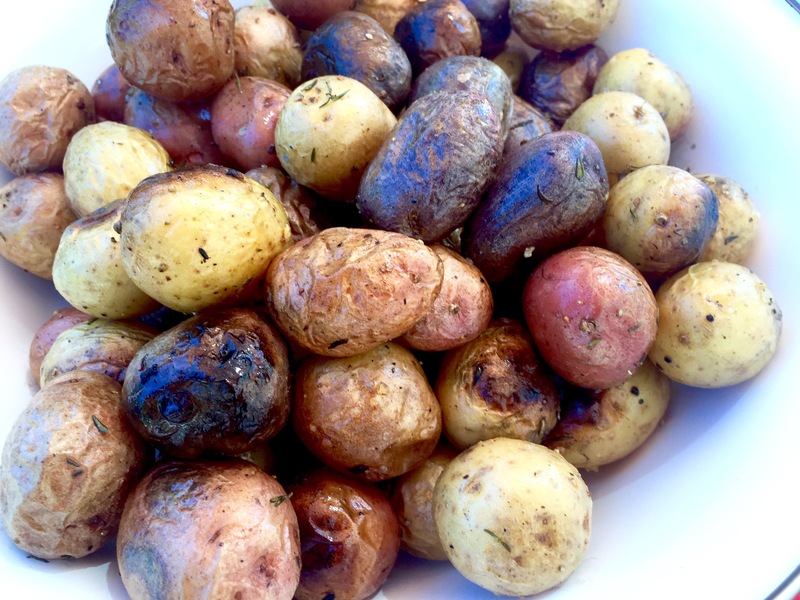 You can make these potatoes ahead and serve them at room temperature or hot off the grill. Either way they taste wonderfully delicious. Scrub potatoes, dry thoroughly. Place in large bowl. In a small bowl combine oil, garlic and thyme. Toss over potatoes. Set aside for 30 minutes. Preheat grill. 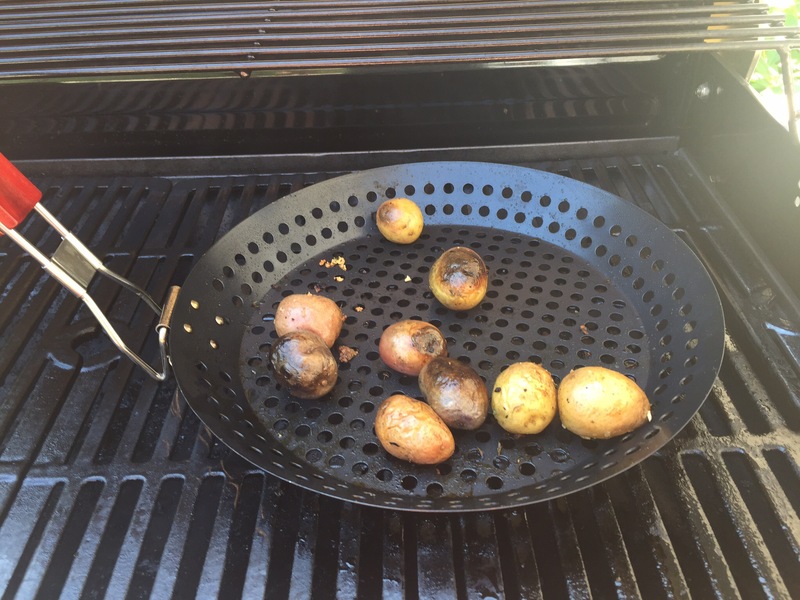 Place potatoes on a grill pan, top with salt and pepper. Close lid grilling for 30-45 minutes until potatoes are soft. Test potatoes by piercing with a knife. 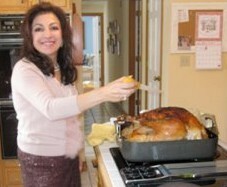 Make ahead and serve at room temperature or serve immediately. Serves 20-25.